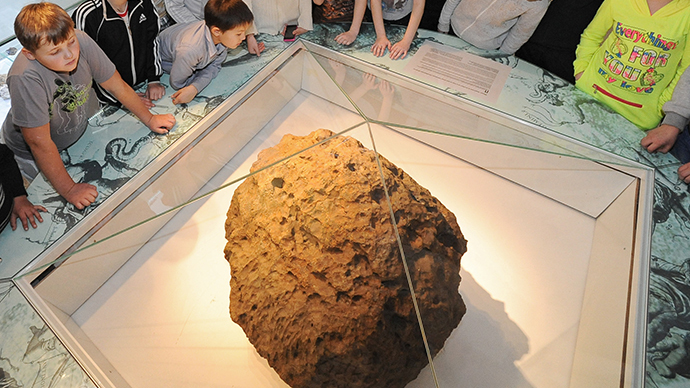 Chelyabinsk is to celebrate one year since a meteorite hit the Siberian city with a scientific conference, a memorial stone and fireworks at the site of its landing. 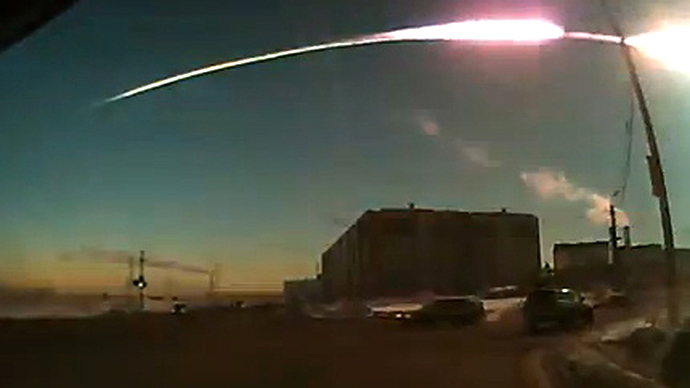 Meanwhile, the “birthday boy” from space has lost 20 kg in weight and got a bit rusty. 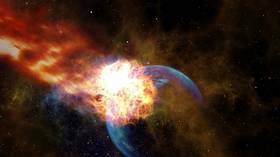 New research out of NASA suggests the odds of the Earth being rocked by another meteorite on par with the one that unexpectedly shook Chelyabinsk, Russia earlier this year are higher than previously estimated. 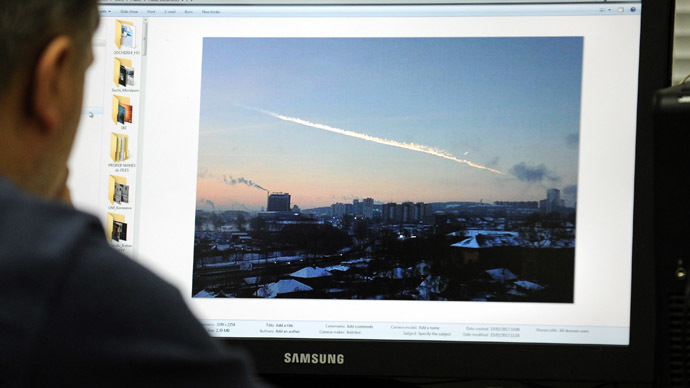 The meteor that shocked Russia in February when it exploded in the skies above Chelyabinsk shows us that the danger from space rocks smashing into Earth is much bigger than previously thought, an international group of scientists has concluded. 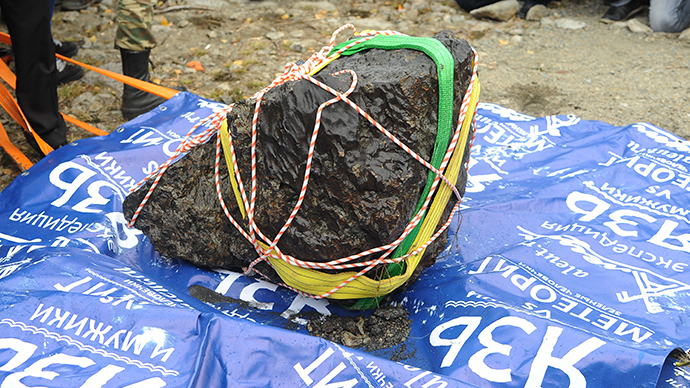 The largest-discovered fragment of a Russian meteorite, weighing around 570 kilograms, has been lifted from the bed of Lake Chebarkul in the Urals. 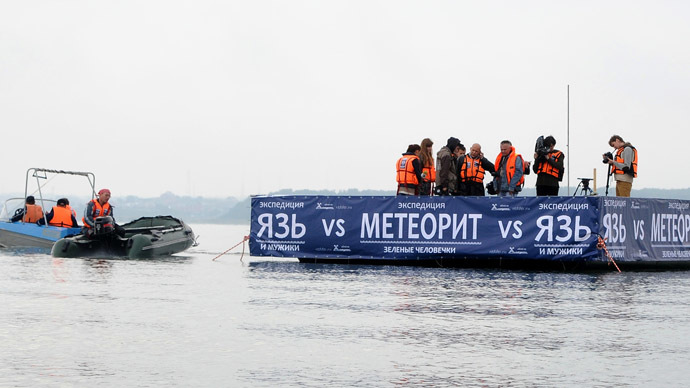 Despite a string of ‘unbelievable’ hurdles, a diving operation to lift the biggest-yet discovered fragment of the famous Russian meteorite stuck in a mud lakebed has entered the final phase.